Just looking at this makes me dizzy. 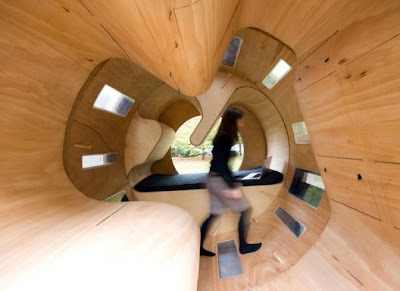 Roll It is a prototype house designed at the University of Karlsruhe in Germany. 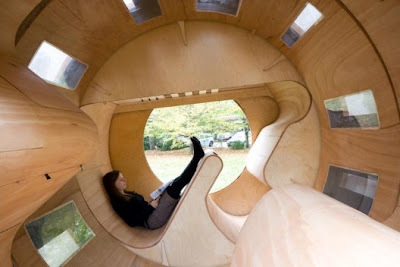 The modular space is made up of three cylinders: one with a bed and table, one for exercise (it's a hamster wheel! ), and one with a kitchen and sink. It reminds me a bit of Aristide Antonas' design, but a whole lot cooler.